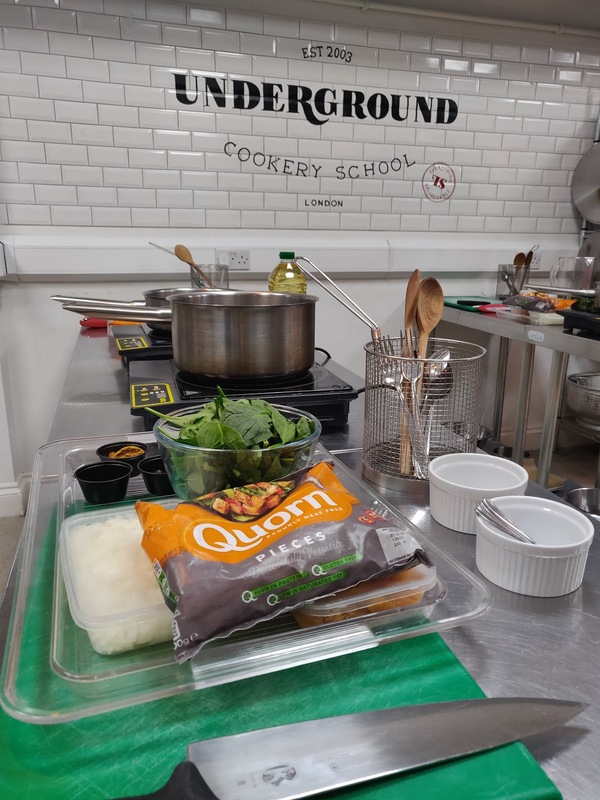 Whether you eat meat or not, Quorn is a household name which is synonymous with convenient protein-rich meat-free products making life easier for everyone from competent cooks to those who can just about manage to throw a ready meal in the microwave. Since they ditched the egg white binding ingredient in favour of vegan-friendly pea protein, even more people can enjoy their wide range of products from Quorn mince and pieces which can be used in a huge variety of recipes from curry to spag bol, to quick and easy ready meals like meat-free shepherd's pie. My entire family eats meat but it's so convenient to make a protein rich healthy meal using Quorn that I do include it in our meal planning. My son looks after one vegetarian and one meat eating child and finds they both love his Quorn-based meals which saves him cooking two meals at tea time. 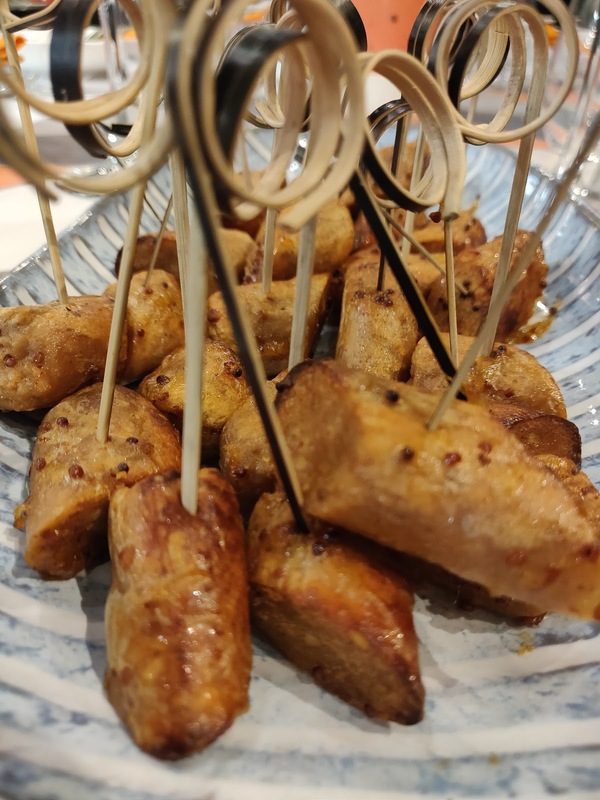 At a Quorn cookery event at the Underground Cookery School in London recently however I found a new delicious way to serve the sausages cooked with a zingy wholegrain mustard and sweet sticky honey glaze making them the perfect party canapé. At the same event we got to cook along with a Quorn expert chef and I made a gorgeous aromatic sweet potato and spinach curry using Quorn Pieces (find them in the frozen aisle) instead of the chicken I might have added. It tasted amazing too. I particularly liked the sweetness from the mango chutney we added. 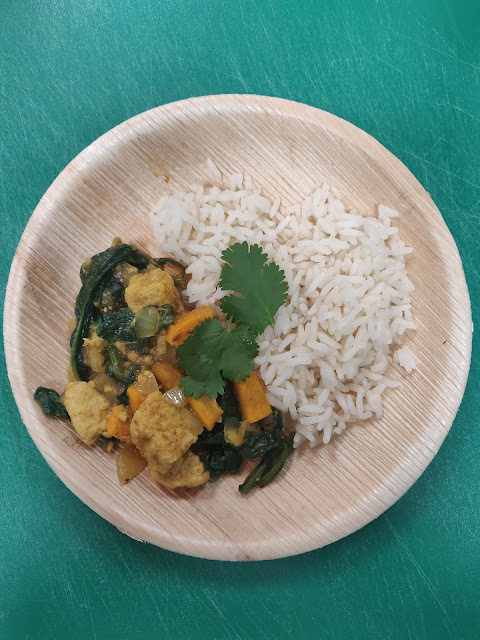 We served the curry with plain boiled rice and a coriander garnish. Quorn’s ever-expanding range has been designed to help meet this increasing demand for meat free options and offer a greater choice when it comes to quick and tasty protein rich meals. And because the main ingredient in Quorn produces less Co2 emissions and uses less land and water then meat, it’s good for the planet as well. Sweet Chipotle Goujons, savoury Bratwurst Sausages and a family friendly Mixed Grill are all new additions to Quorn’s chilled product range. 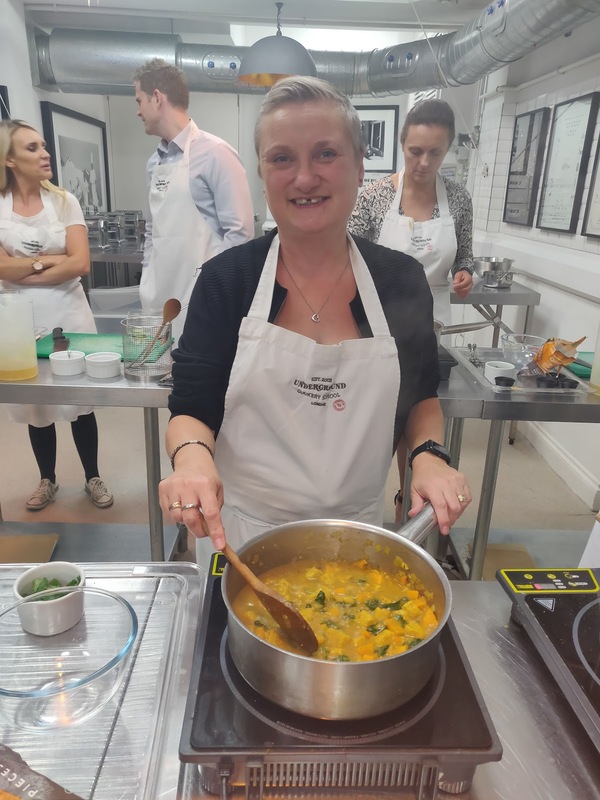 Creamy Laksa Curry and fragrant Moroccan Tagine create the new sizzling ready-meals line up, along with improved recipes for the UK’s favourite dishes – Lasagne, Cottage Pie and Tikka Masala. So, whether you’re looking for a quick after work meal for one or looking to make the kids something that’s both healthy and delicious, Quorn’s expanding range offers a delicious choice when it comes to eating meat free. For recipes, meal planning ideas, product details, news and more visit Quorn.co.uk. 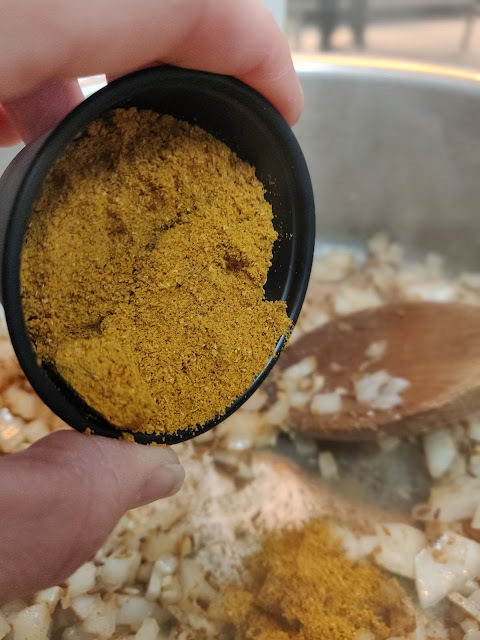 Meanwhile here is the recipe for the tasty curry we made. Disclaimer: I attended a cookery event sponsored by Quorn for the purpose of writing this honest review. 1.Heat oil and gently fry cumin seeds, add onion, garlic and Quorn and fry for a further 3 minutes. 2.Stir in the ginger and curry powder and cook for a further minute. 3.Add the vegetable stock, sweet potato and mango chutney and simmer for 10 minutes, stirring occasionally. 4.Stir in the spinach for the last minute of cooking. 5.Just before serving top with yoghurt and coriander. I've never tried the quorn pieces. Do they have a taste or do they just take on the flavour of the spices? I didn't try the Quorn before I added it to the curry but it definitely took on the flavour of the spices and had a nice texture .